Egypt to cut diplomacy with Syria Jump to media player The Egyptian president, Mohammed Morsi, has announced that Cairo is cutting off diplomatic relations with Syria. Cairo: A different protest every day Jump to media player Aleem Maqbool visits several different kinds of protests in Cairo over several days. 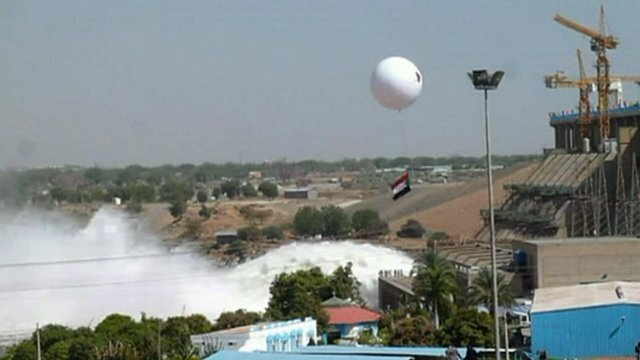 Morsi warns against Ethiopian dam Jump to media player Egyptian President Mohammed Morsi has said "all options are open" to deal with any threat to his country's water supply posed by an Ethiopian dam. 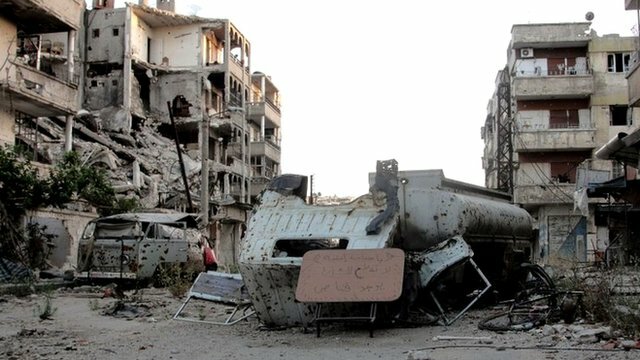 Syria condemns chemical weapons 'lies' Jump to media player UK Prime Minster David Cameron says he share the view of the US government that the Syrian government has used chemical weapons on civilians. 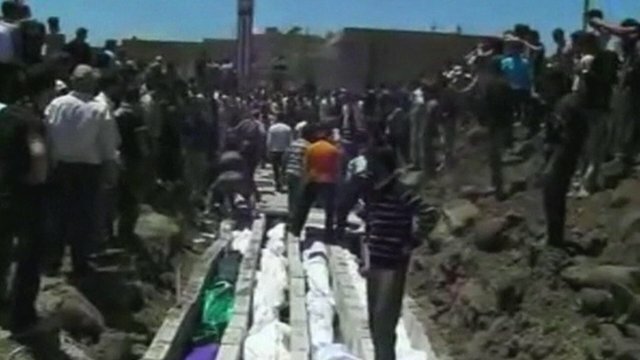 Syria death toll 'at least 93,000' Jump to media player At least 93,000 people have been killed in Syria since the start of the conflict, according to the latest United Nations figures. 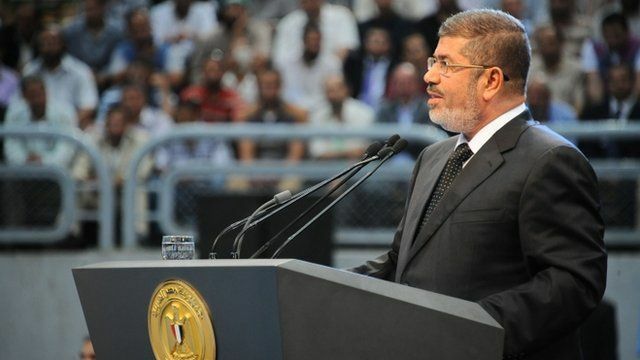 The Egyptian president, Mohammed Morsi, has announced that Cairo is cutting off diplomatic relations with Syria. 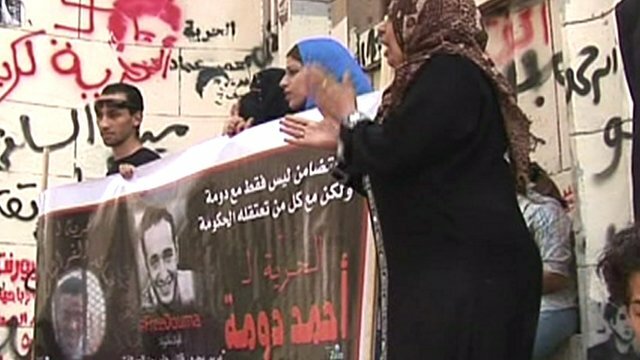 Addressing a rally in support of the Syrian opposition, Mr Morsi said the Syrian embassy in Cairo would be closed. 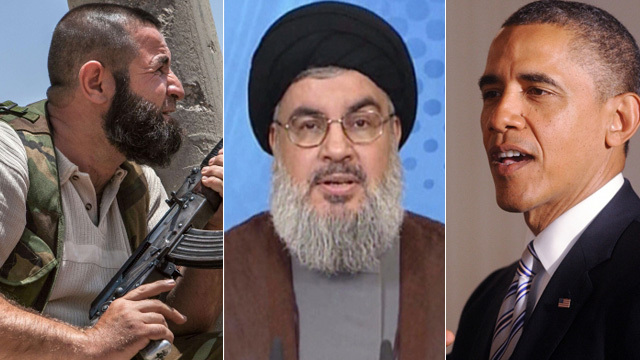 He also demanded the Lebanese militant movement Hezbollah withdraw from the fighting in Syria.